The capital of Serbia is uniquely beautiful and a hub for Serbian history. Belgrade is located on the confluence of the Sava and Danube rivers, giving it a panoramic view like no other. Charm, elegance, and charisma are some of the things travellers and tourists can expect from this wonderful city. The historic Belgrade Fortress is Belgrade’s top attraction. This is the crown and the heart of Belgrade which overlooks the city as well as two rivers. The Church of Saint Sava is one of the largest Orthodox churches in the world, and one of the main landmarks in Belgrade. Those with a science side should check out the Nikola Tesla Museum, a cool museum dedicated to Nikola Tesla’s inventions. If you are new to Belgrade, we recommend joining a free walking tour. This is the easiest and most affordable way to both, see the city, and learn about its history. This is a fun-filled tour that will keep you entertained throughout the walk. Local guides will teach you about the city’s history, society, and architecture and walk you through Belgrade’s major landmarks. Visit sights such as the Republic Square, Bohemian Quarter, and Belgrade Fortress. This is an essential tour for those visiting Belgrade for the very first time. This tour group offers three separate free walking tours. The Downtown Walking Tour. See the top landmarks in downtown and learn about the significance of each one. The 20th Century tour. Provides a modern outlook into Belgrade. Walk through the Vracar streets and stop by the National Library of Serbia and glorious Saint Sava temple. 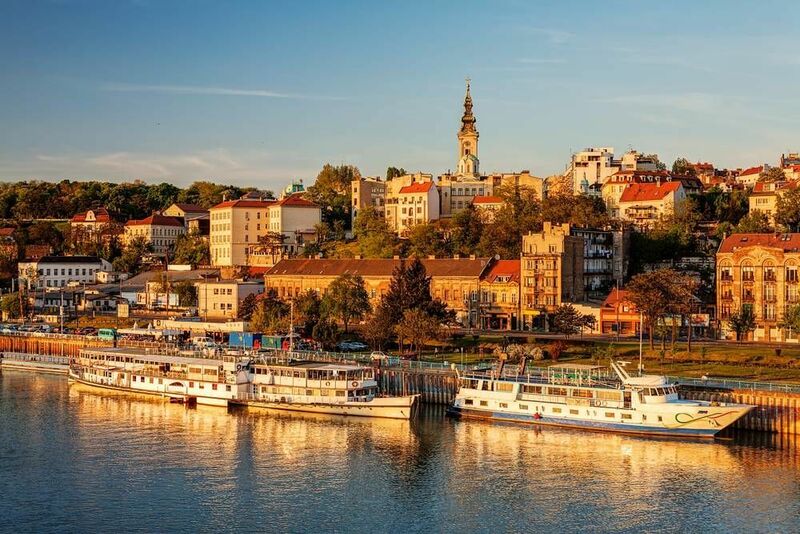 The Zemun tour takes you on a walk along the Danube river bank and see Belgrade's modern side including the Millennium Tower. This 2.5-hour free walking tour is another great option for first-time visitors in Belgrade. See the major attractions including the Belgrade Fortress and Republic Square. Hear about the Roman and Ottoman history in Belgrade, learn about Belgrade's cuisine, and socialize with locals and other tourists. This is the perfect tour to start your Belgrade adventure. Below you can find more popular (but not free) activities and tours in Belgrade. Are you from Belgrade and want to be a tour guide? Please get in touch by submitting your details on this page!